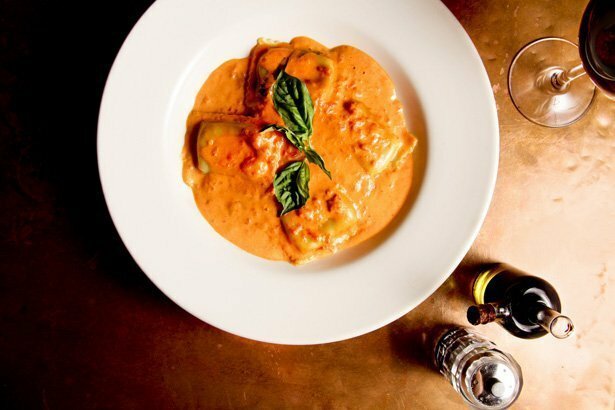 Girasole is a Italian, Bistro, and Vegan restaurant where most Menuism users came for fun with friends, paid between $10 and $25, and tipped between 15% to 18%. A diner from Pittsburgh, PA tried it, liked it, and rated it . They liked the food, liked the service, and liked the ambiance. 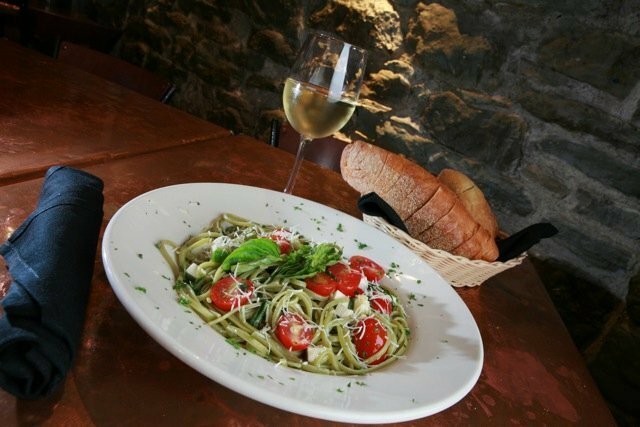 An Italian food lover from Pittsburgh, PA tried it, liked it, and rated it . They liked the food, liked the service, and liked the ambiance. 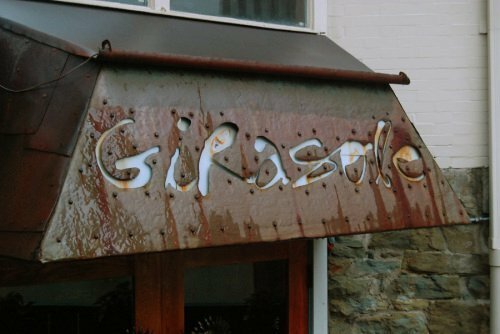 4 reviews of Girasole, first by kmb246. Tight squeeze, but SO GOOD! Spinach & Ricotta Ravioli In a tomato cream sauce—that was also really tasty, too. The sauce was more “pink” in color, which is my preference. Another great dish, though, that I would definitely try again!! This was one of the best pasta dishes I have eaten—would go back again for this alone! Some may call it cozy and others may call it cramped, but the close seating arrangements at Girasole are all part of the Italian atmosphere. Where it may lack in square footage, it makes up for in hospitality. The wait staff is dressed in classic black attire which fits the warm, intimate character of Girasole. The wine list is generous and even includes a number of Italian spirits. The menu however, left me wishing for more options. 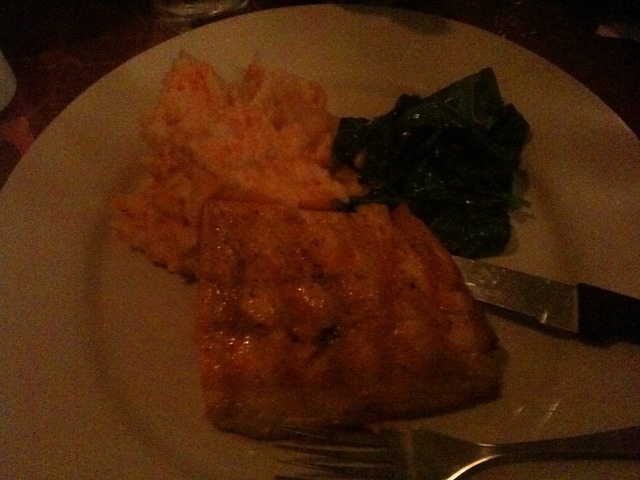 I selected the Pesce (fish) Special which was baked artic char, mashed potatoes with carrots, and sautéed spinach with pine nuts in olive oil. 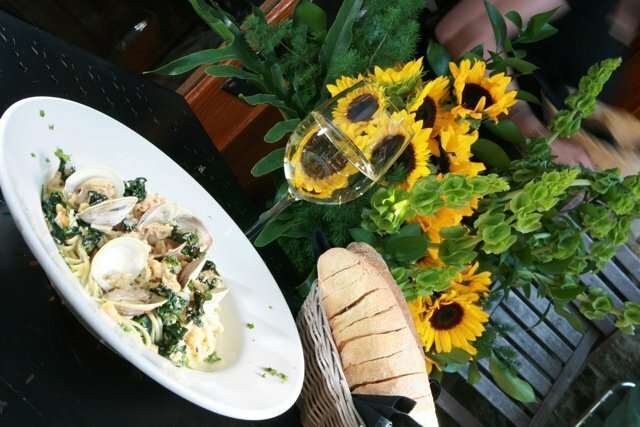 Girasole is not for those on a budget diet. It’s not overly pricey but the bill can add up very quickly when you factor in wine, dessert, and tip. I give it 4 menus. 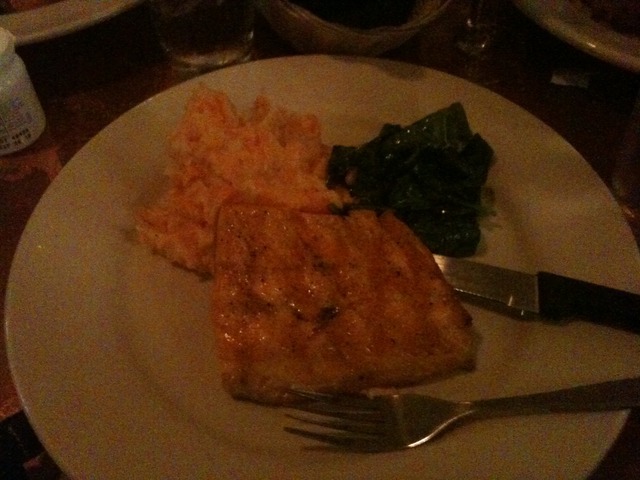 The fish was cooked perfectly. I didn’t expect shredded carrots and mashed potatoes to be so hearty, but they went very well with the char and spinach equally. I wish there had been a bit more seasoning overall. The flavors would have been greatly accentuated with additional herbs and seasonings. I found myself reaching for the salt more than I would have liked with this dish. A co-diner, who ordered the same dish, also remarked on its blandness. There are no words to describe the delightful treat that is a dinner at Girasole. The atmosphere is intimate and friendly. The food is fresh and plentiful. It is a true hidden gem on a side street in Shady Side. It is located across from Starbucks down a short flight of stairs. The menu varies by season and every night there is a meat, chicken and fish special. I almost never order off of the menu because the specials are always so wonderful. You should start with the bruschetta and end with one of their homemade desserts. Girasole was a great trip. We got the true family experience with the son yelling “MA! !” at his mother. It was almost a scene from the Sopranos or The Godfather. The food was excellent in this truly packed place. The party across the aisle detracted from the experience a bit as they were so loud we could barely have a conversation without yelling. But after they left the tone calmed down and by the time our food arrived we were quite content. All of the dishes we had were outstanding. We had two types of pasta that had seasonal elements to them. I would highly recommend this restaurant to anyone wanting authentic italian food with a seasonal/local spin. These dishes from the Girasole menu are contributed by Menuism users directly, as part of a restaurant review, or as part of a photo upload. Do you own Girasole? Contact us to connect with your diners. 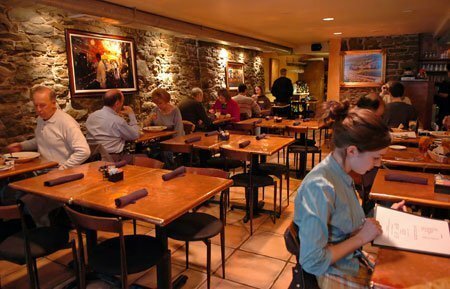 Girasole is located near the cities of Pgh, Downtown, Mount Washington, Strip District, and Mt Washington. People found this by searching for: Italian Restaurants Shadyside Pa, Girasoles Restraunt Shadyside Pa, Shadyside Restaurants Italian, Girasole Shadyside, Has Anyone Tried Girasole In Shadyside Pa, Girasole Pittsburgh, Girasole Shadyside Menu, and Italian Restauarant In Shadyside Pa.